Lily Collins (The Mortal Instruments: City of Bones) will co-star opposite Jake Gyllenhall (Everest) in Okja. Kelly Macdonald (Anna Karenina) and Tilda Swinton (Snowpiercer) round out the cast, with Paul Dano (Youth) rumored to join the project. Bill Nighy (The Second Best Exotic Marigold Hotel) was previously attached, but The Wrap reports he is no longer. The film is co-produced by Netflix, Lewis Pictures, and Brad Pitt’s Plan B Entertainment. 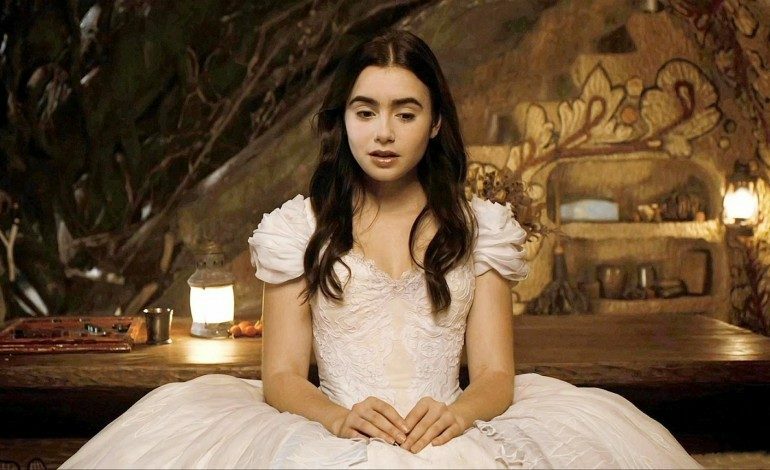 Collins played Snow White to Julia Roberts’ Queen in Tarsem Singh’s Mirror Mirror. She will be seen next opposite Alden Ehrenreich (Hail, Caesar!) in Warren Beatty’s s untitled Howard Hughes movie. She will star opposite Matt Bomer (TV’s White Collar) in Amazon’s The Last Tycoon, based on F. Scott Fitgerald’s unfinished final novel. She has also just signed on to headline Marti Noxon’s dark comedy To the Bone. Production on Okja is slated to begin next month with locations in both Korea and New York. A theatrical release is expected the first half of 2017.